Ghanaian giants Asante Kotoko who have enjoyed a wonderful run in the Caf Confederation Cup this season are scheduled to face Al Hilal Omdurman in the opening fixture of Group C on Sunday. After dreadful campaigns under 11 different coaches since 2008, C.K Akonnor without a doubt has done a remarkable job in his first season in charge of the Porcupine Warriors to not only return them to this stage but have them standing out as one of the favourites to qualify to the knockout stage. 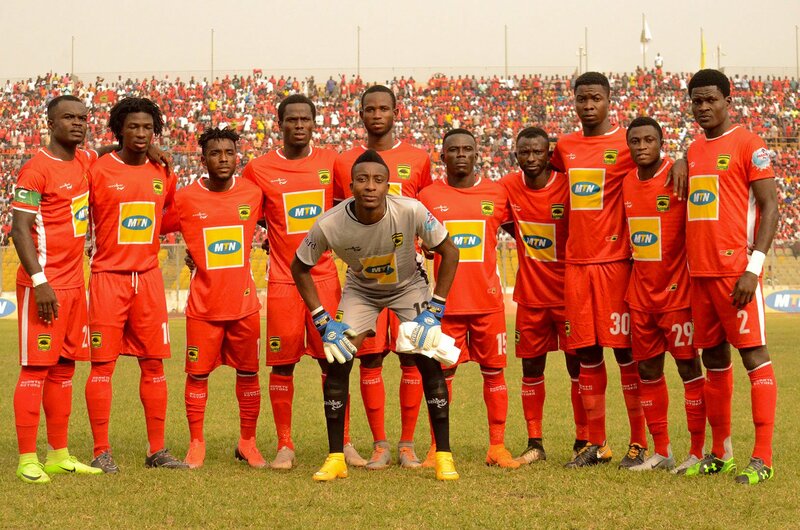 Following uncertainties surrounding their preliminary round fixture, the Kumasi-based side was handed a walkover victory by Caf which in itself was an achievement since they had failed to go past that round on three consecutive occasions. Gradually, Kotoko have grown in confidence and the goalless draw against Kariobangi Sharks in Kenya coupled with the 3-2 away win over Coton Sport in Cameroon underlined their ambition to shut up shop and focus on avoiding defeat regardless the ground. In the two away games so far, they have fancied their chances of going toe-to-toe with opponents and the fixture against Al Hilal in Omdurman this weekend won’t be different especially when it is three points at stake. At this point, Kotoko appear to be unstoppable in their quest to pick one of the two slots in the group but they face a daunting task. Al Hilal despite failing to make it to the group stage of the Caf Champions League are hoping to use this opportunity to reconcile with their aggrieved fans. They may not be the tightest team defensively, though, but they create enough chances and score many goals when given the slightest opportunities. Moreover, they are always dangerous against Ghanaian oppositions. The back-to-back defeats in the Sudan Premier League last month including the 2-1 shock home loss to Merreikh El-Fasher confirm that if Kotoko keep it tight at the back in Omdurman, they could create a frustrating atmosphere for Hilal and pick a point or stun them with a win. Make no mistake, however, any breach in Kotoko’s defence which will be led by Amos Frimpong very early in the game could lead to a busy day because the hosts are found of putting visitors to the sword after breaking their bulwark defence. Their forwards are quick to force opponents to commit penalties especially from counterattacks and that will throw away the fixture just like they won 2-0 against Kotoko in 2004. Therefore, it is quite understandable for Kotoko midfielder Emmanuel Gyamfi to advise his teammates to work as a unit against Hilal because they will also be playing under floodlights. “It is obviously going to be a tough game for us. We have watched some of their game and the atmosphere in the stadium is always charged,” Gyamfi said. “But I believe we can enjoy the game and frustrate them if we stick to the game plan we will be using. We need to play as a team and avoid mistakes, especially in midfield and defence. They are without doubt a good side but we are prepared to shock them,” he added. Already, goalscoring has not been a major issue for Kotoko in this campaign although Songne Yacouba is yet to break his duck after four games. Akonnor has given them an improved attacking punch even when the strikers fail to come to the party. When they put three past Coton Sport in the first leg of the play-off round thanks to goals from midfielders Emmanuel Gyamfi, Maxwell Baakoh, and Fatawu Safiu, it was clear that every player in the team is capable of scoring since it added to two goals scored by captain Amos Frimpong. With Nkana FC facing fellow Zambians Zesco United in the other game in the group, Kotoko need to try and avoid defeat in their game since there are difficult fixtures standing on the way that could affect them greatly.